Rose canes can take a beating over the winter months, suffering through wind, cold, snow, freezing rain and even drought stress. This can leave the exterior of older canes looking dead, but that may only be superficial. Gentle scraping of canes can help determine if healthy, productive wood remains and how much of it. 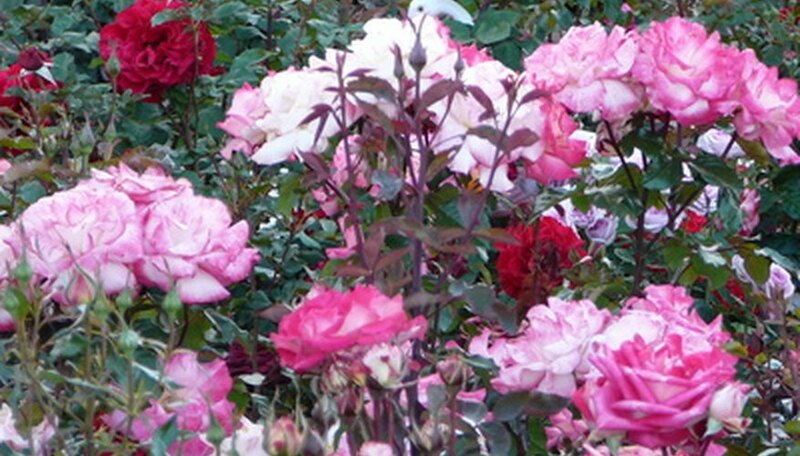 Roses with significant dead tissue can still survive, according to Colorado State University. Testing the plant in several areas and with progressive pruning will help determine if the plant can be salvaged. Rub the exterior skin on a stem away and look for blackened or dark brown canes. These are signs of dead canes. Cut unhealthy canes down progressively to look for healthy tissue. Cut each cane down to roughly 18 inches above the soil and look for signs of life. If the tissue looks dead at that point, cut the cane down to the crown of the plant. If the tissue is dead down to the crown or graft union, the plant is dead. Dig down and look at the root tissues. Healthy rose root tissues will be firm and white to light gray in color. Dead root tissues will be brown and can become slick or slimy with rot. Dead roots signify a lost plant that is dead or dying. Identify healthy canes by a green exterior color and a light greenish yellow to white interior. Small red buds or leaf axils along the cane also signify living, healthy tissue. Plants with just half of their canes can often survive, but may not be symmetrical or return to abundant flowering immediately. This is largely an aesthetic choice if you want to replace them or nurse them back to health and beauty over a season or two.